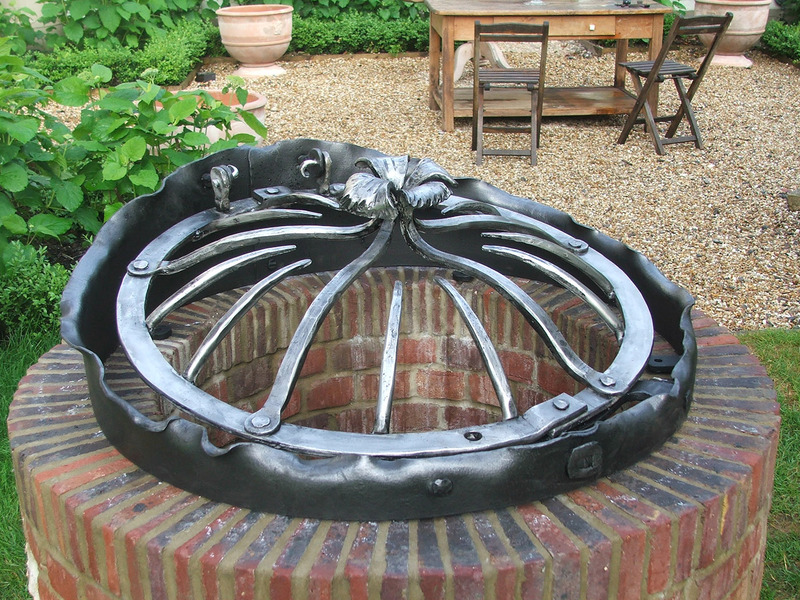 Commissioned by publicans Richard Taylor and David Thomas. 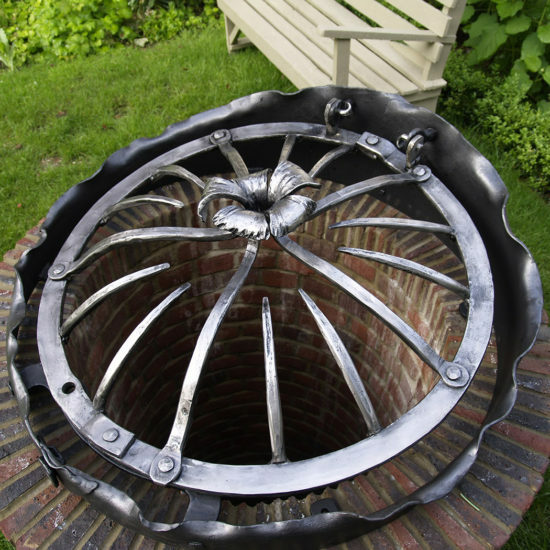 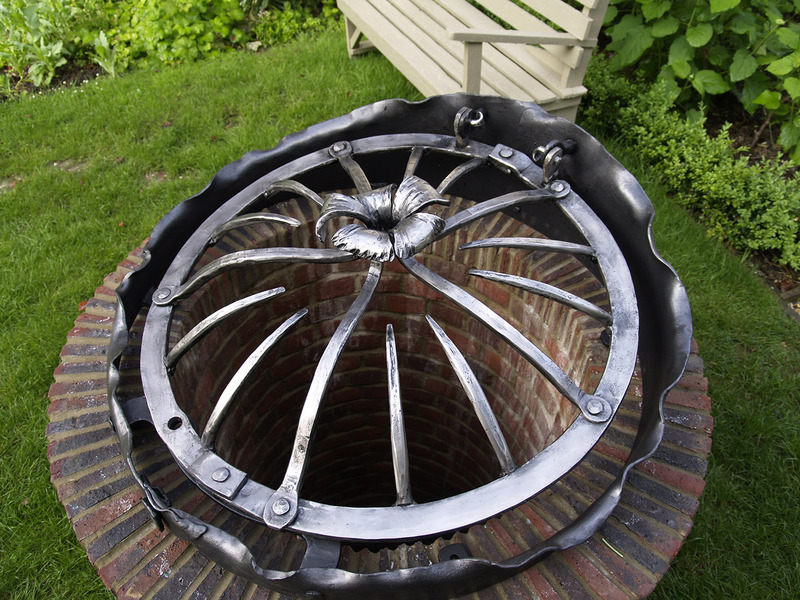 This well cover was created for The Thomas Lord Public House, West Meon, Hampshire. 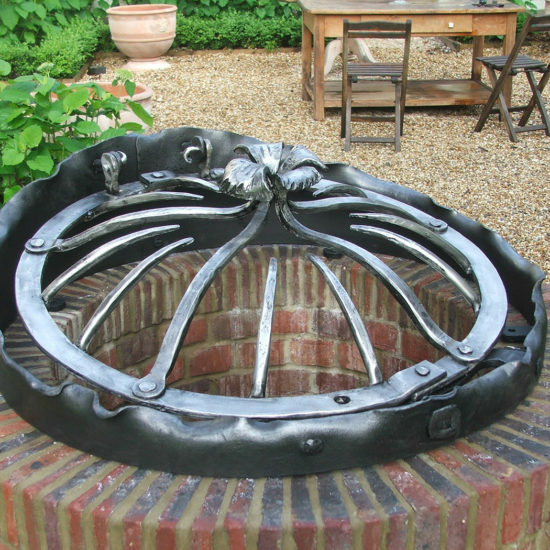 It was an open brief so Charles took inspiration from a local water spring and made the piece in mild and stainless steel.